In the land of lofty mountains, link lush green forested landscapes, ampoule chirping birds and gurgling rivers that are heightened on moonlit nights and golden day breaks, it comes naturally to release that creative urge embedded in most humans to find expression in delicate art forms. Drawing inspiration for the life around and about, schools of artists painstakingly practising the Kangra painting art form, over the centuries, have come up with such masterpieces that many reputed galleries around the world today proudly have them on permanent display. 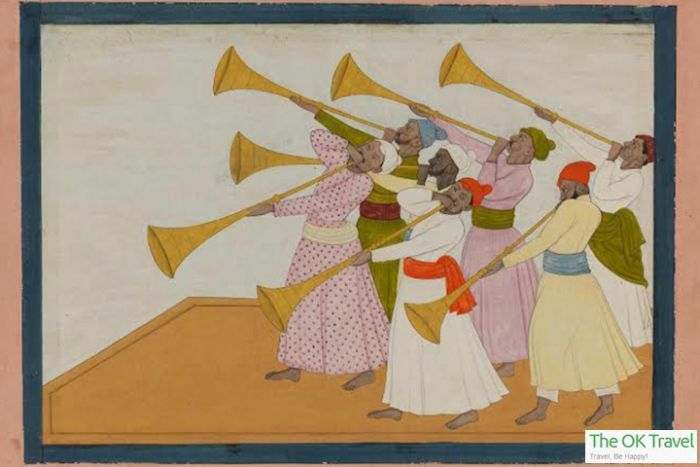 This art form that came into prominence after the fall of the Mughal Empire in Delhi, when many artists, left to fend for themselves, sought patronage from the hill Raja’s of the 18th century. 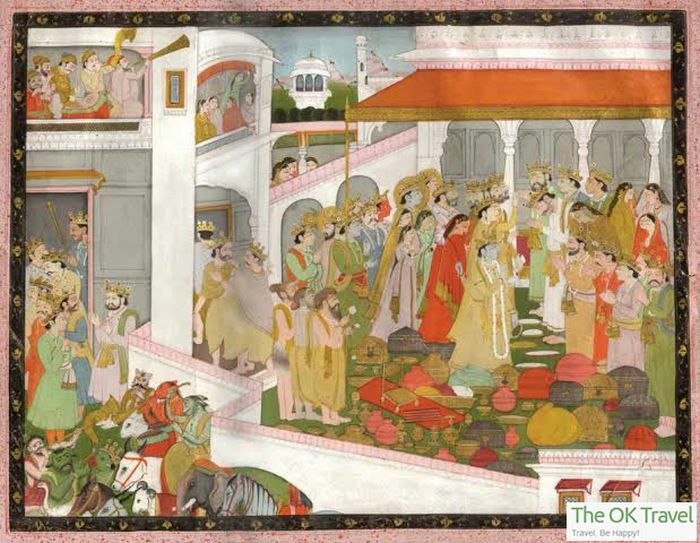 The delicate miniature genre of the paintings, different for the Rajasthan’s Rajput School of Painting, has popularly come to be known as the Pharari or Kangra School of Paintings. Master artists who were trained in Mughal style of painting have left a lot of impressions of the older school on their works in the Kangra paintings. Local art schools such as the Guler school of art permeated with the Mughal style and gave rise to a fresh fusion with a unique naturalistic style. The colours used in these paintings were extracted from minerals, vegetables, flowers and animal hides. Spreading out from Guler, several variants of the Pharari school of paintings, localized to different royal houses in the hills came onto their own. The art of Kangra paintings branched out from Guler and established at Basohli, Nurpur, Chamba, Bilaspur, Kangra, Mandi, Kullu, Arki, Nalagarh and Tehri Garhwal. 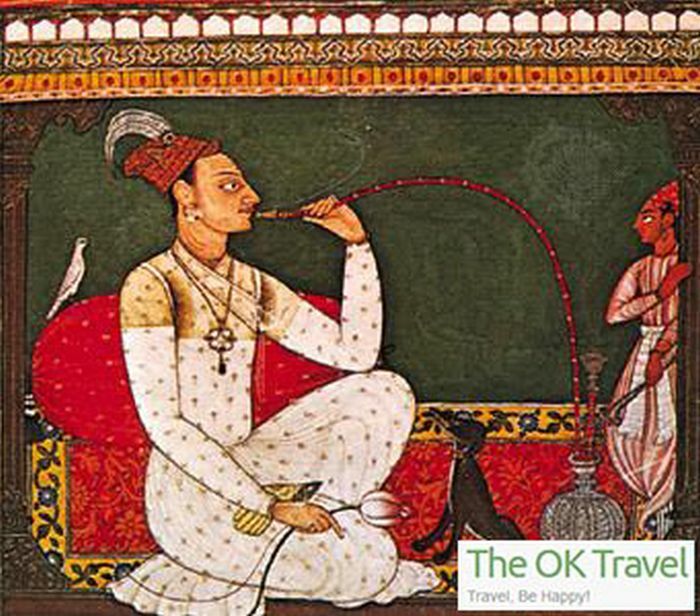 From the Katoch royal lineages, who ruled the region from the impregnable Kangra Fort, Maharaja Sansar Chand Katoch was a great patron of the arts when the Kangra School of paintings flourished and made its mark in the world of art. 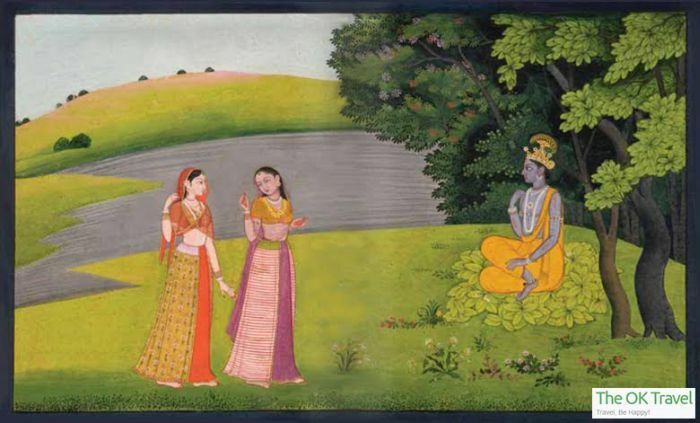 The king being an avid devotee of Lord Krishna, the painters in an attempt of flatter him picked themes from the life of Lord Krishna, especially his flirting with Gopi’s and the love life with Radha to paint on. In return of the masterpieces the Pharari masters made, the king bestowed handsome commissions. Other than the wavering love life of Lord Krishna, the artists were also influenced by the prevailing religious beliefs and popular literature of the times. 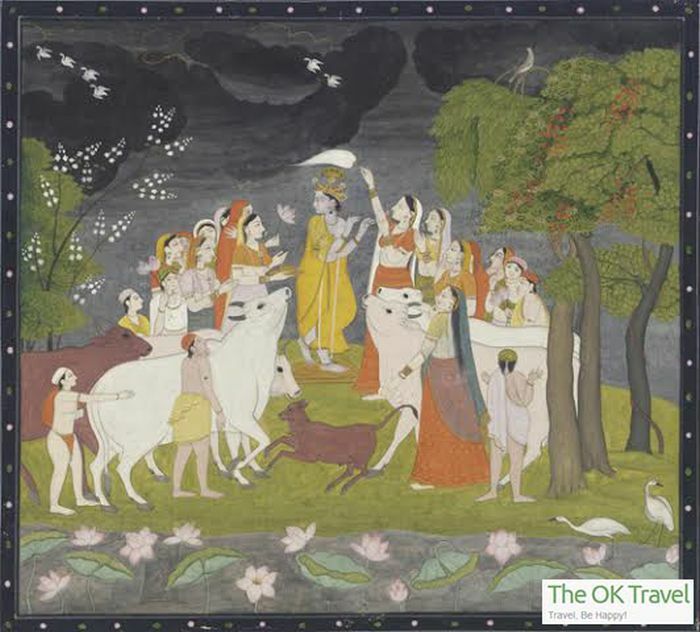 Other than the love themes of Krishan and Radha or Krishna and the Gopi’s (maids), many themes picked out from the religious literature of Bhagvata Purana, or the love poems of Jaidev did become the subjects depicted in the paintings. Radha and Krishna have been portrayed as the ultimate source of spiritual experience and that is why the Kangra paintings present a beautiful mixture of the Bhakti and Shringar Rasa. Some of these paintings have also come to symbolize the complete submission of the individual soul before an all prevailing God. Playing a universal tune on his flute, the blue god Krishna mesmerises the Gopiyans, in another set of painting we see him doing the Kaliya Dahan, symbolizing destruction of evil and elsewhere we see him standing in a crossed leg position under a tree with peacocks, birds, deer and cows, depicting the dark lord in complete peace as master of the universe. 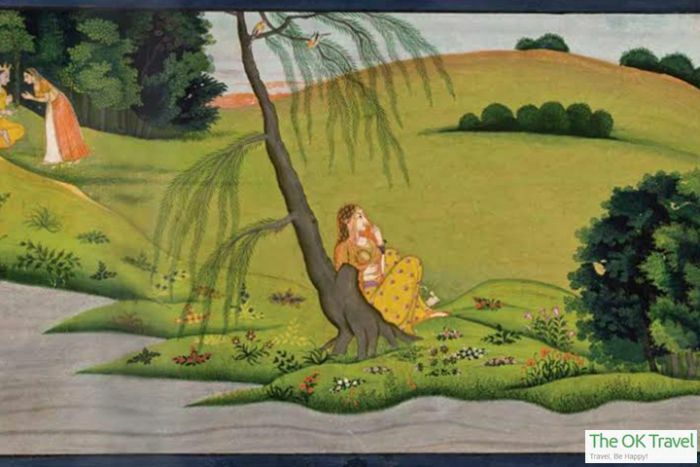 We also find the Kangra paintings dealing with the feminine magnificence in a graceful manner, representing the emotion of love with elegance, sensitiveness and refinement. Natural beauty amidst panoramic landscapes, multitude of trees, mountain rivers and the harmony of spring, occupy a dominant backdrop theme in most paintings. 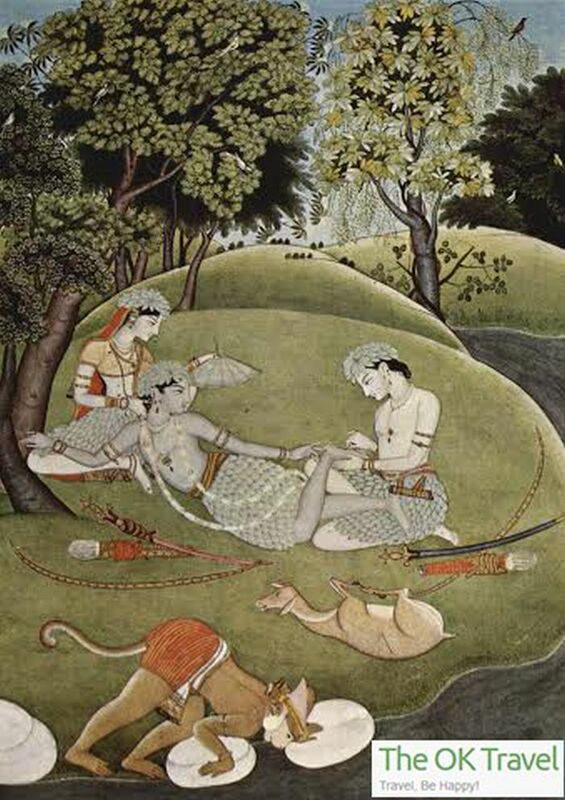 The Kangra paintings present such an art of drawing which is romantic, naturalistic and has depth in it. The paintings speak on different levels, one for the senses and one for the soul. Artistically too these paintings present perfection mixed with melody and tranquillity, like a poem told through colours. The lines, the free-hand movements, the sketches, the colours, the shades all represent deep emotions. 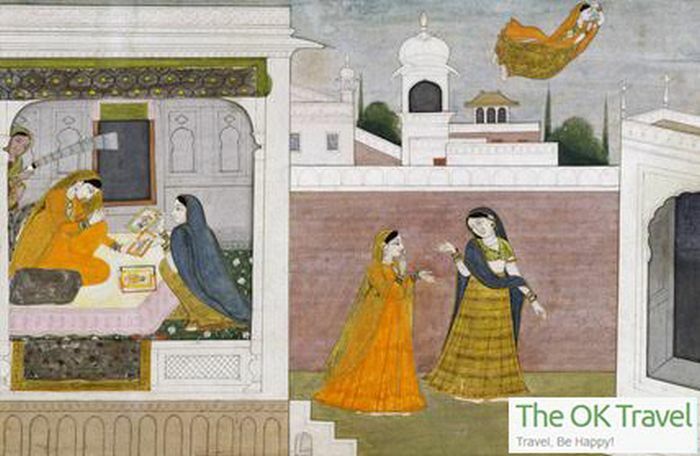 It is not only the charm of Mughal technique and the beautiful scenery of Kangra with inspirations drawn from the Krishna Lila that made the Kangra paintings so glorious, it is majorly the meditative and soul searching quality of these paintings that they are so alive and blissful even today.